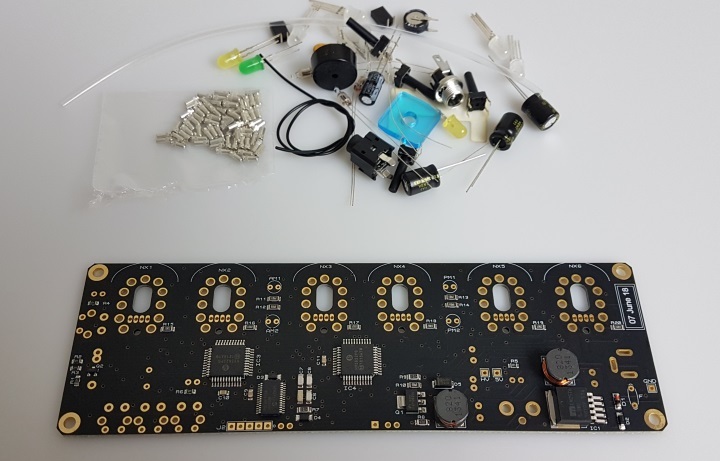 Full kit of parts, including double dot neon colons, pre-soldered passives and SMD ICs, tube sockets, RGB LEDs and Double Dot Neon Colons. 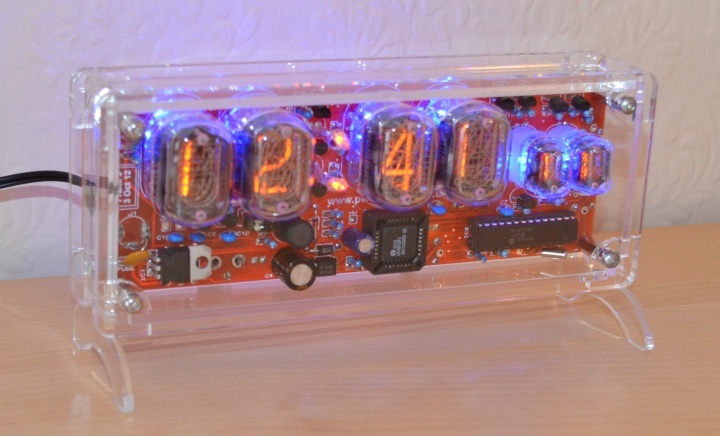 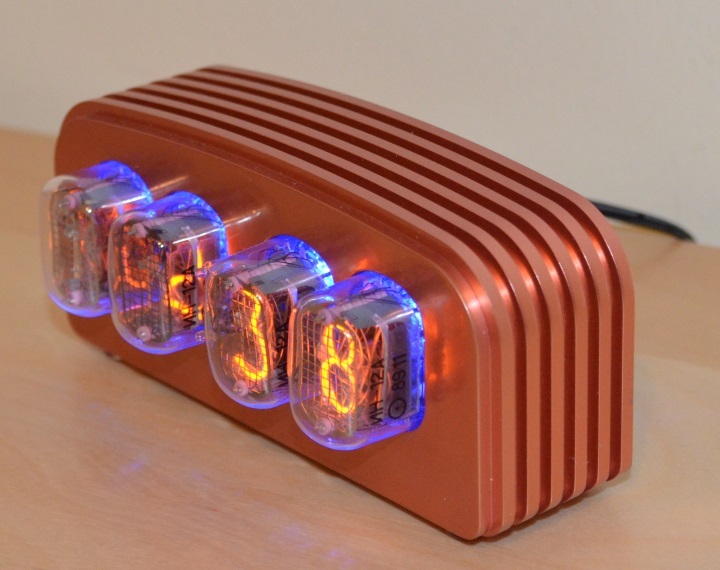 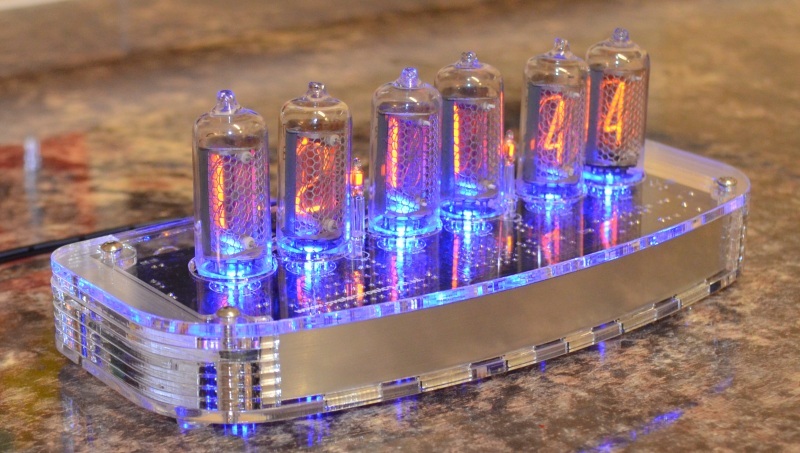 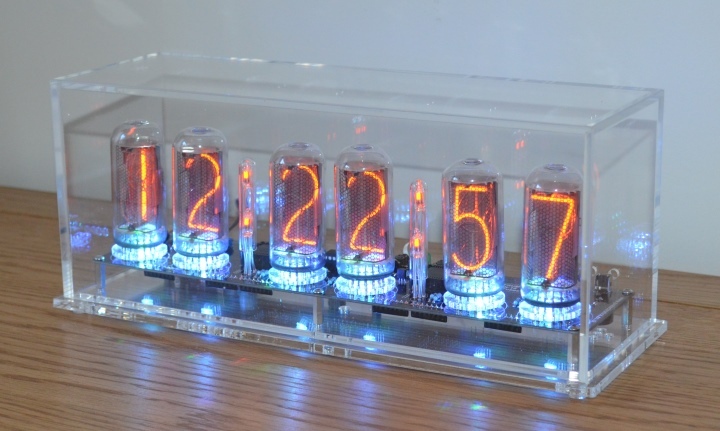 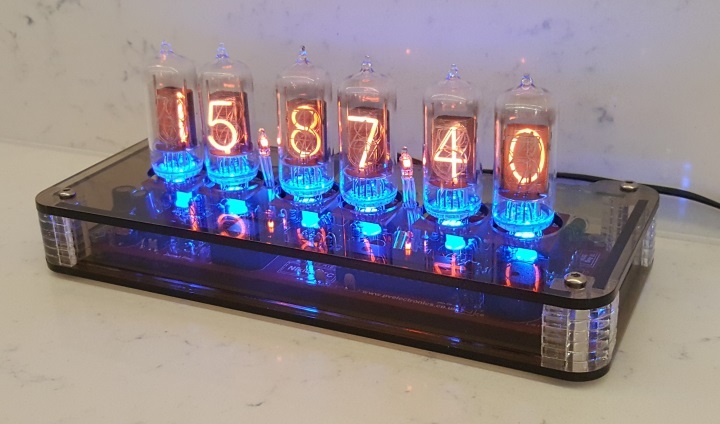 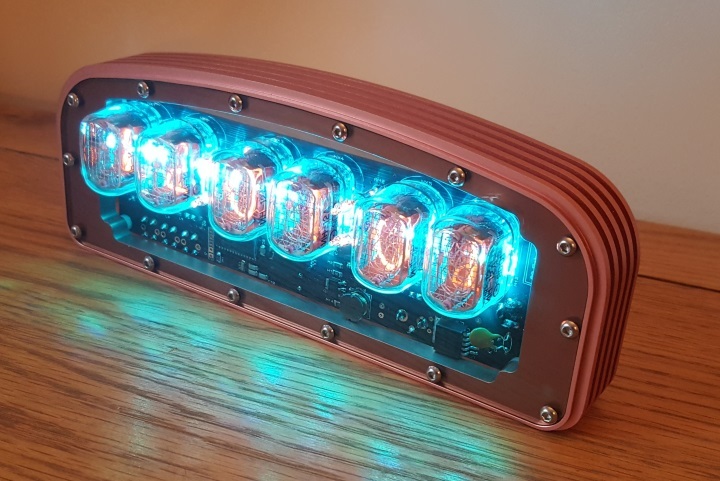 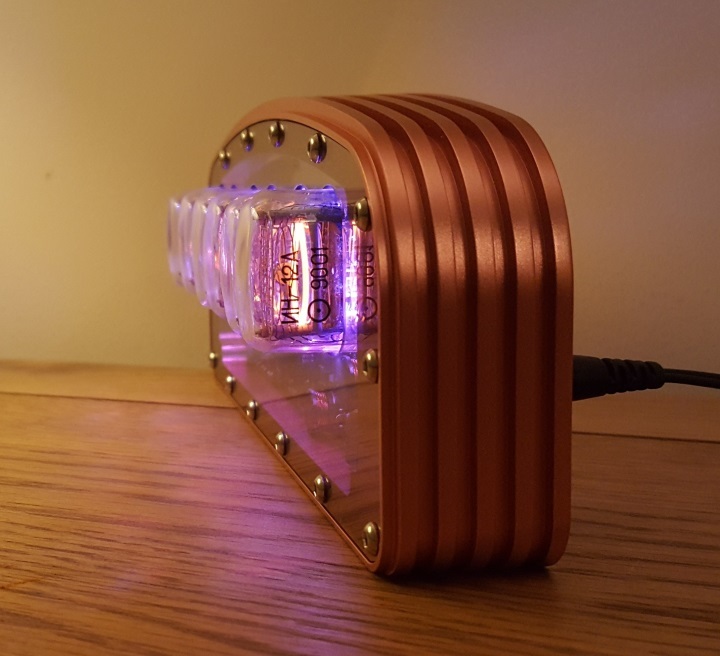 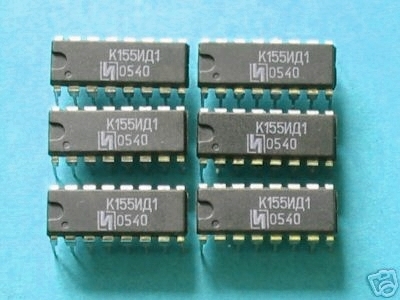 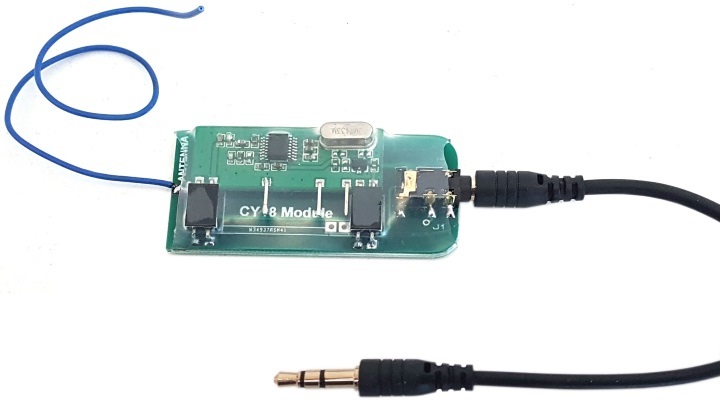 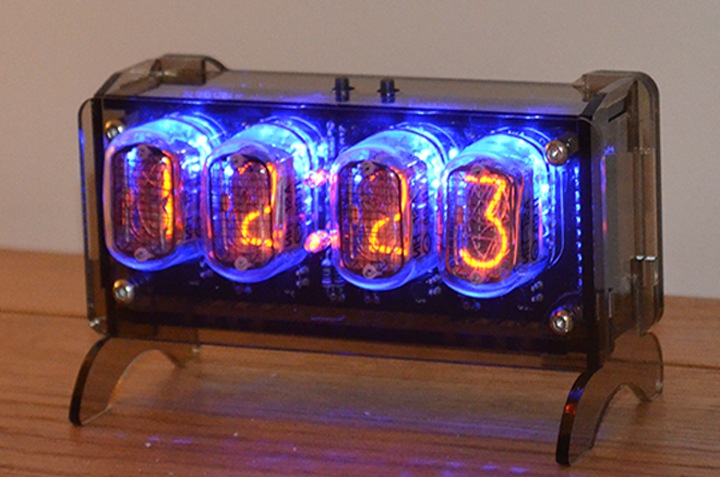 Six IN-12 Nixie Tubes are included. 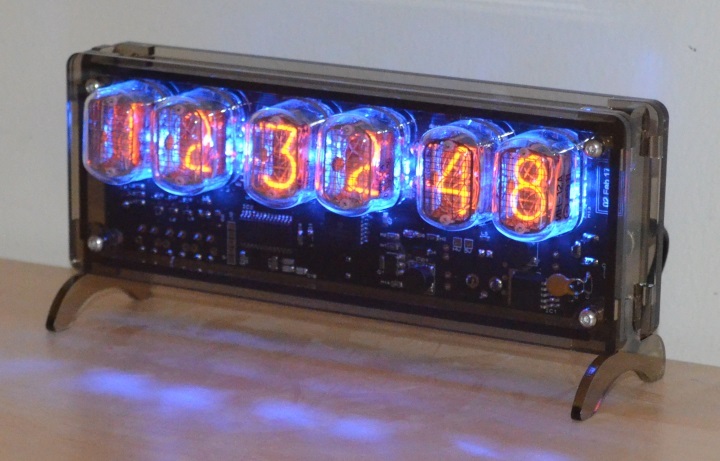 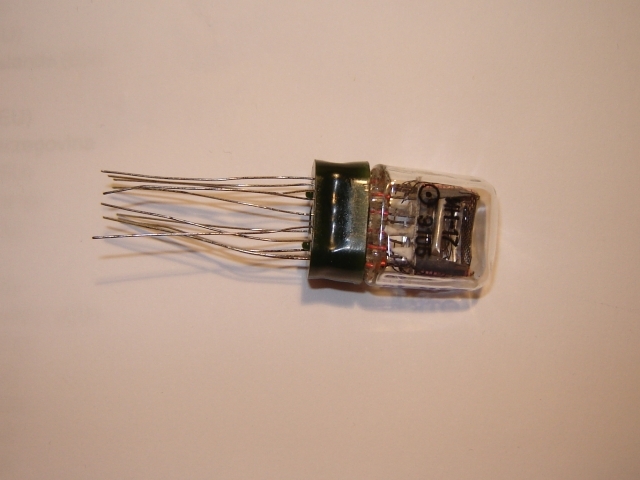 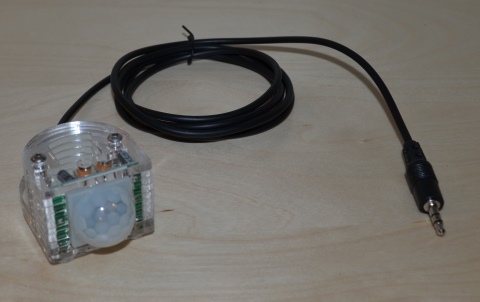 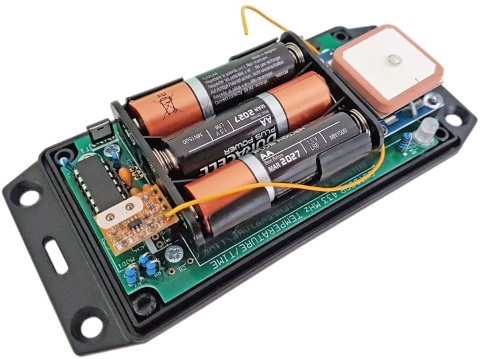 IN-12 Nixie Tubes are included.